"I...want to show you what I can do in 15 minutes a day!" have been a Vinyard Pastor and leader of a small "in church" House of Prayer (HOPE - House of Prayer for Everyone) in Southern California for the past 17 years. Approximately a year and a half ago I was struggling with frustration over having attempted to establish our House of Prayer for about 14 years, but was "burned out" because of not being able to ever fulfill my dream. That day God spoke a simple but profound word into my thoughts, "I love night and day prayer, but I want to show you want I can do in 15 minutes." So over the next months I began to do "15 munite prayer watches" sporadically. Then, through a prophetic healing word I was exhorted to pray in the Spirit the first 15 minutes of every day as I am waking up. As I began to do this some things begin to change. Some sleep issues, anxiety and stomach problems seem to dissapate, my heart for prayer seemed to be resotered and I begin to get new wisdom and Divine realtional appointments. 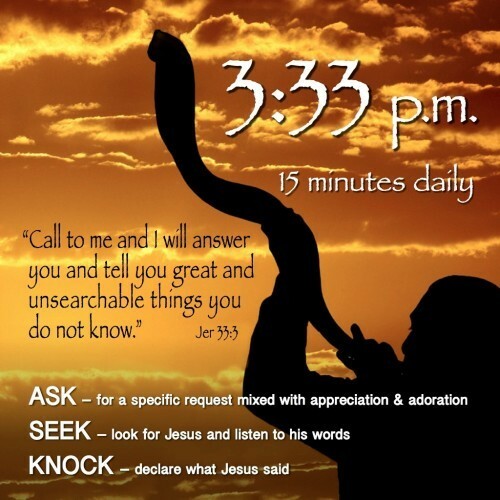 Then the Lord started waking me in the night at 3:33am and spoke to me to pray Jerermiah 33:3 (More below about 333 watch) and I set my alarms on my cell phone for 10:02am and 33:3pm daily and started and exciting and still unfolding journey of doing a quick prayer every morning 15 minutes every afternoon and have been seeing even more superantural answers. In my own church and region many men have caught the vsion of praying like this and connecting with 1 or 2 other men to pray for Luke 10:2 (for the leaders and the harvest), Jeremiah 33:3 (for hidden treasures and insights) and for breakthoughs in their lives, families and businesses. ​I have called all this "the easy button" because all of these little ideas for prayer are very simple and small but produce massive results. After many, many years of intense and exhausting praye this is a great relief. Besides I can now see that "Jehovah Sneaky" has started with simple prayers and shart but persistant times to reignite weary hearts with the fuel of His burning, intercessory heart. He woke me again at 3:33am! Approximately a year and a half before this I was struggling with frustration over having attempted to establish a 24-7 Night and Day House of Prayer called H.O.P.E. (House of Prayer for Everyone) for about 14 years within a local church here in Southern California (i.e. Vineyard Community Church of Laguna Niguel) but was "burned out" because of not being able to ever fulfill my dream. That day God spoke a simple but profound word into my thoughts, "I love night and day prayer, but I want to show you want I can do in 15 minutes." 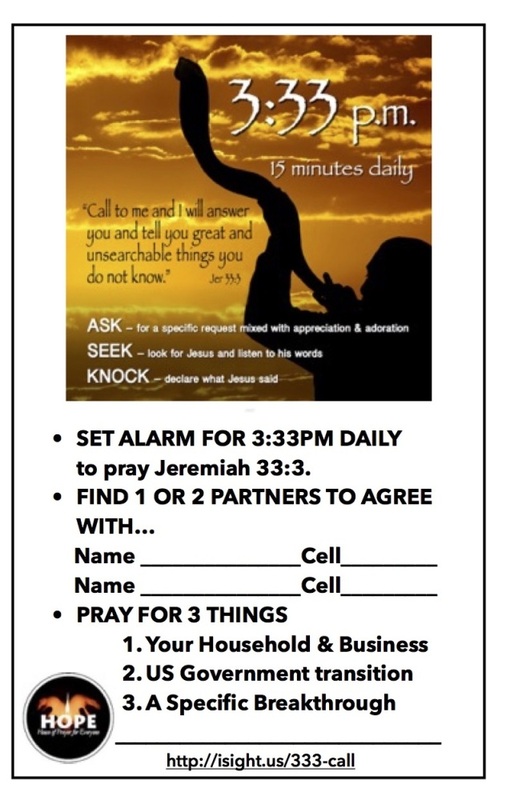 So now the Lord has put the two together and commissioned me to establish a daily 15 minute Jeremiah 33:3 breakthrough prayer watch. KNOCK - taking His word and declare it over the need with a vision for the Breakthrough. 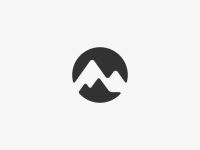 These seven mountains are business, government, media, arts and entertainment, education, the family and religion. There are many subgroups under these main categories. About a month later the Lord showed Francis Schaeffer the same thing. In essence, God was telling these three change agents where the battlefield was. It was here where culture would be won or lost. Their assignment was to raise up change agents to scale the mountains and to help a new generation of change agents understand the larger story. So the Lord reminded me of this and since we are praying daily and there are 7 we can remember to pray for one of those every day. See the left panel and the downloadable 7 mountain prayer sheet.